Situated within this exclusive development of just 11 detached houses, with electric gated access and countryside views to the rear is this 5 bedroom detached family home, offering contemporary well maintained accommodation throughout. 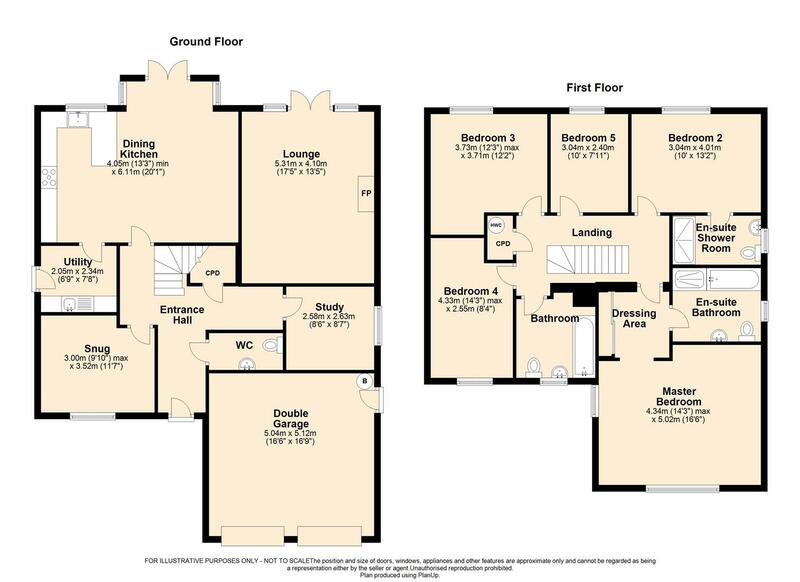 Comprising;-entrance hall, dining kitchen, utility room, lounge, snug, study, WC, five bedrooms, two en suites and house bathroom. Externally private drive, double garage, front and rear lawn gardens.